Two floors of new classroom space and a new lobby entrance will be added to the Computer Science Building. Plans to build a new learning center to provide needed classroom space at Missouri S&T were approved Thursday (Sept. 20, 2018) by the University of Missouri Board of Curators during the board’s meeting at the University of Missouri-Kansas City. 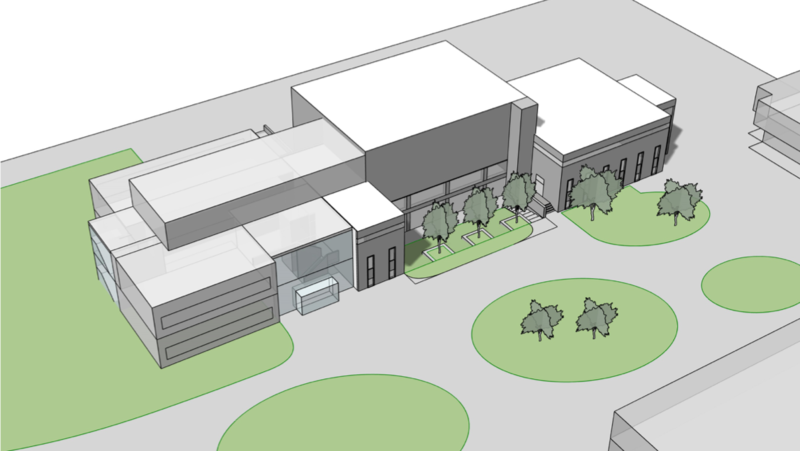 Originally conceived as part of an effort to renovate Missouri S&T’s Schrenk Hall, the classroom learning center will be a two-story, 15,900-square-foot addition to the Computer Science Building. It will include four 100-seat classrooms, one 300-seat lecture hall and a new entry lobby. The project is expected to be completed by late 2019 for use during the spring 2020 semester, which will begin in January. The first floor of the new addition will include a 300-seat lecture hall. The second floor addition will include several new classroom spaces. Enrollment at Missouri S&T has grown by 23 percent since 2010, and larger classrooms are needed to accommodate this increase, Maples says. Currently, S&T has only one classroom that can accommodate between 76 and 100 students and only two lecture halls with capacity for over 215 students. Construction of this addition, known as the Student Classroom Learning Center, is anticipated to generate as much as $1 million in savings annually once it is fully in use. The Student Classroom Learning Center also will include accessibility and safety improvements to the adjoining Computer Science Building. These include a fire suppression system and security improvements to exterior doors. A combination of charitable gifts, maintenance and repair funds, and campus reserves will fund the $7,657,675 project. The project will also reduce the overall cost of the remaining Schrenk Hall addition and renovations from $54 million to $44.6 million. Also during the Board of Curators meeting at UMKC, the curators approved preliminary capital project plans for each of the system’s four universities. Each university presented plans for major building expansions, renovations or construction planned over the next five years. In addition to the Schrenk Hall renovation, Missouri S&T’s preliminary plan includes a $10.3 million renovation of Curtis Laws Wilson Library, a $43 million addition and renovation to the Engineering Research Lab and a $10.4 million addition to McNutt Hall.